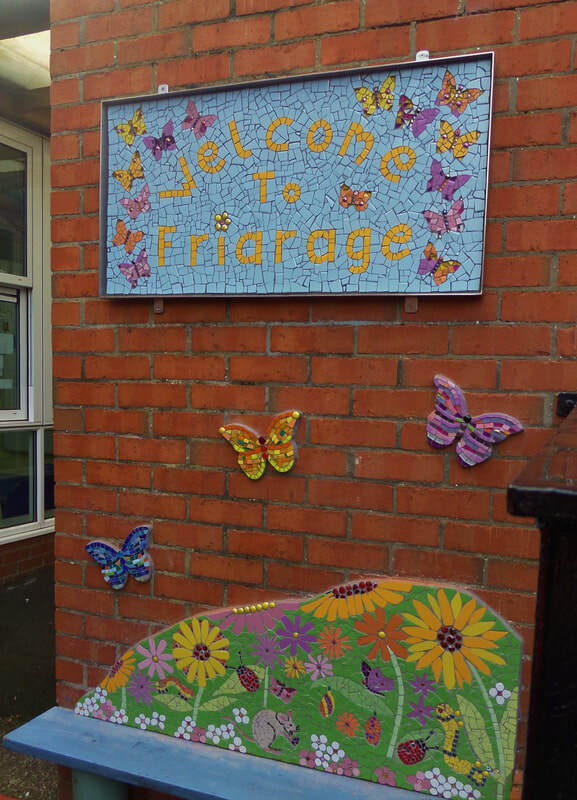 The entrance to the Early Years Centre was drab and uninviting before. 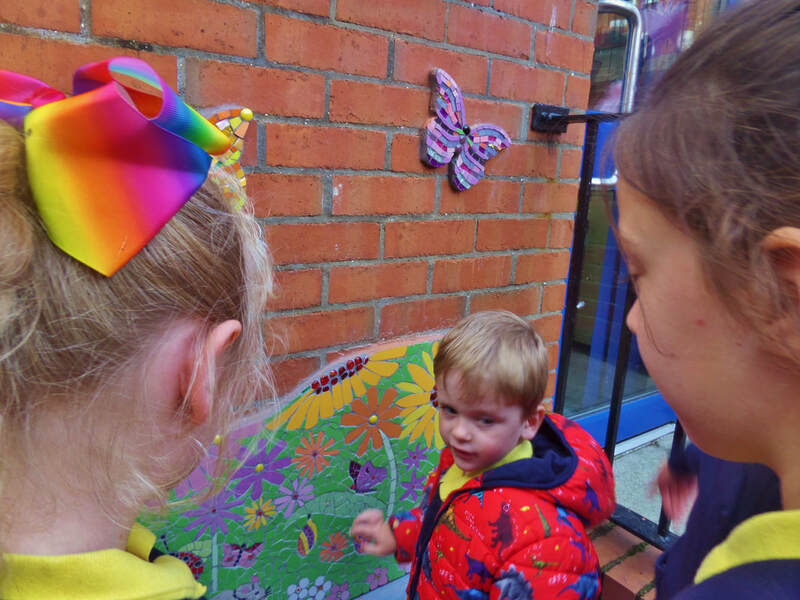 Joy worked with children, teachers and parents to make mosaic bugs, butterflies and flowers to create this lively, tactile, colourful welcome. 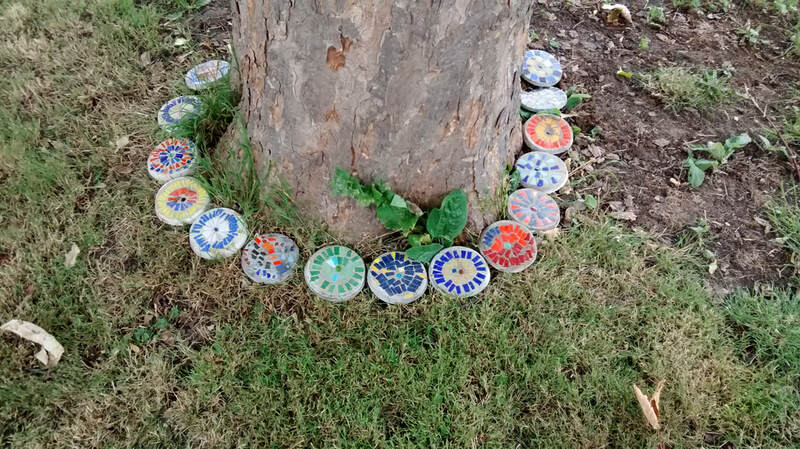 in Joy facilitated mosaic workshops as part of the Arts Immersion Experience at the Lfest Arts Music and Comedy Festival summer 2018. 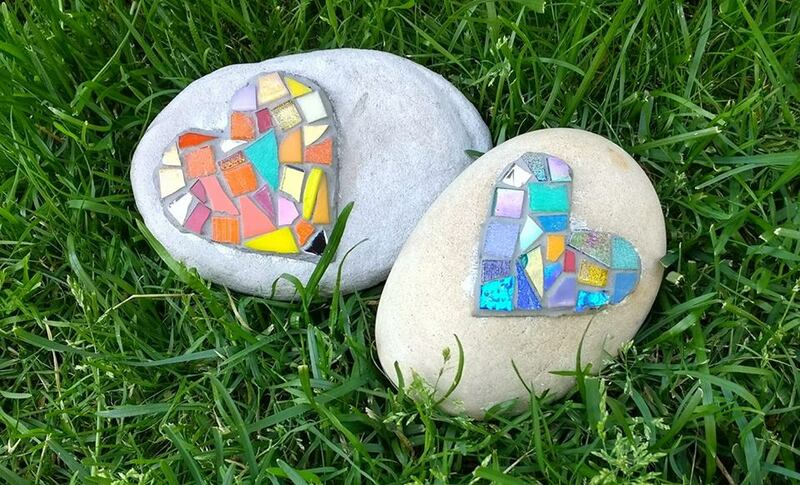 Women made heart mosaics on local beach pebbles to take home as a memento of the festival weekend, as well as participating in a larger rainbow heart mosaic which was gifted to Llandudno for hosting the festival. 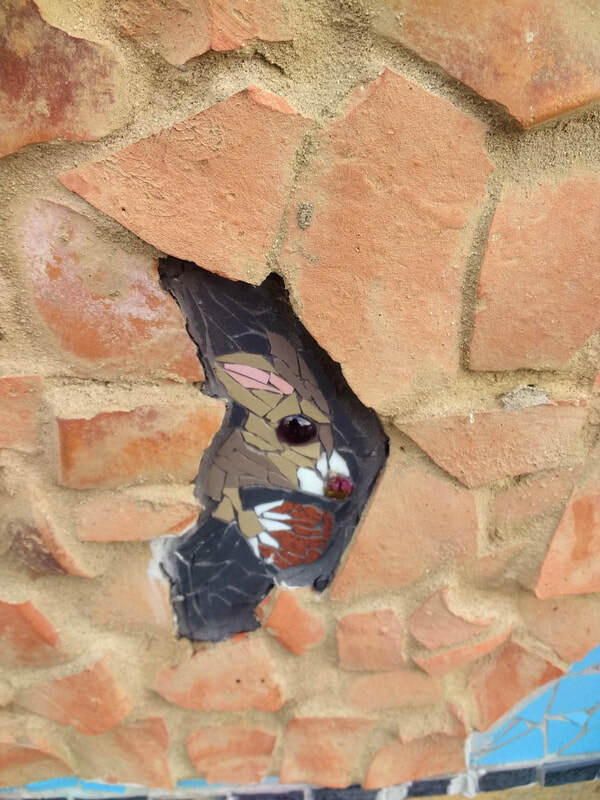 Young & Creative started in June 2016 by artists Joy Sturgess and Susie John to provide a creative service for disadvantaged young people aged 12 to 25 living in Feltham. 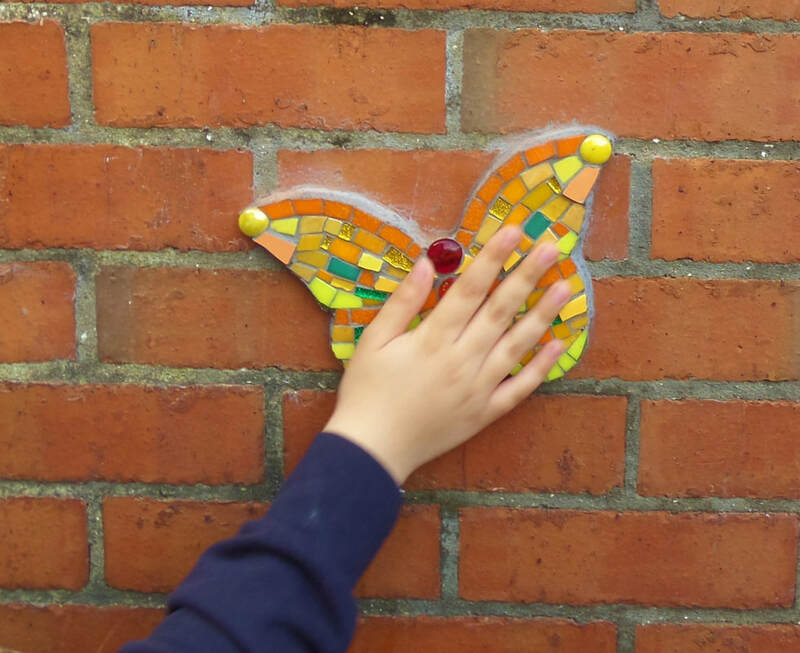 The project, funded by Inspire Hounslow and Feltham Community Development Association, works in partnership with appropriate referral agencies, inspiring young people to explore and develop their creativity. 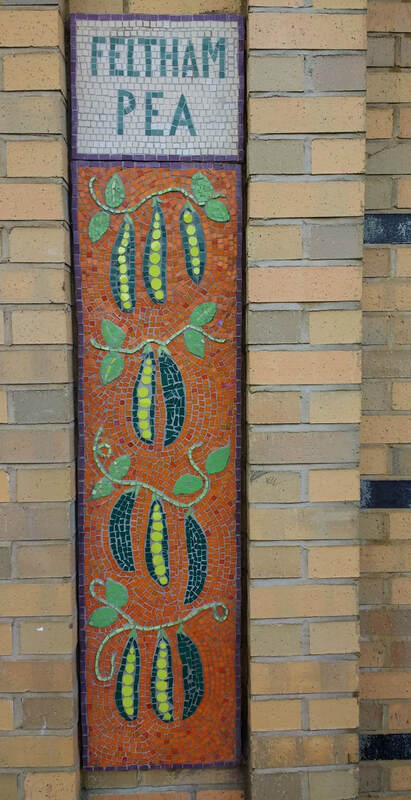 Young people are empowered to gain enduring practical and soft skills as a building block for leading fulfilling lives. 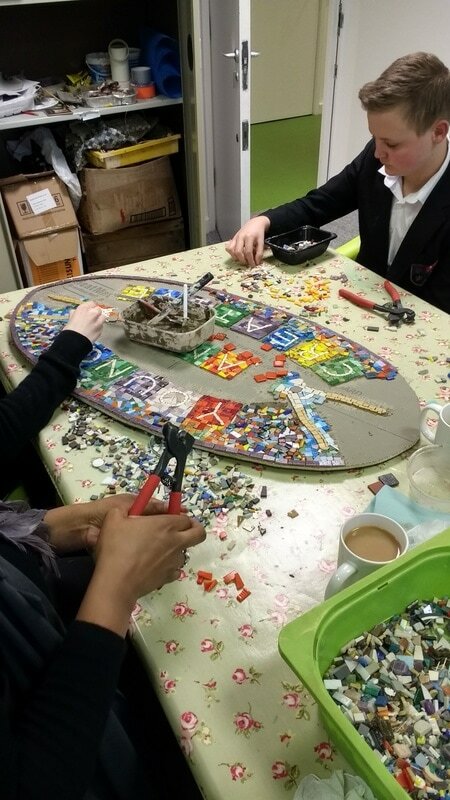 Teaching is focussed on mosaic making, enabling Young & Creative students to contribute to art for public space. 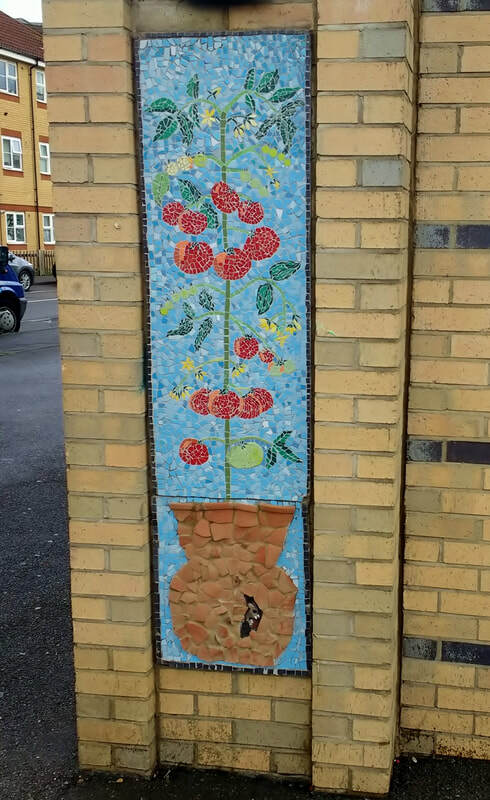 Hounslow Interim Education Centre- working with young people temporarily excluded from main stream education. 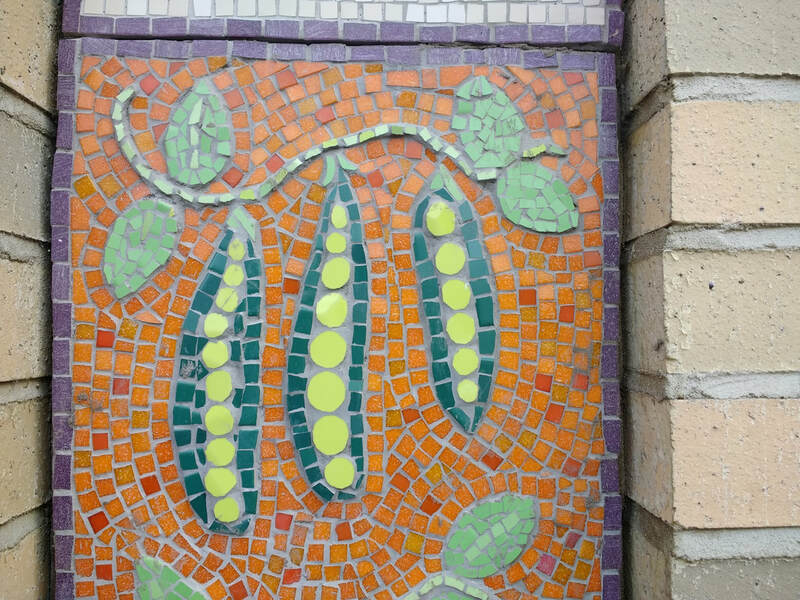 ​Setting up a weekly mosaic making group which ran for one year until Joy was preparing to relocate. 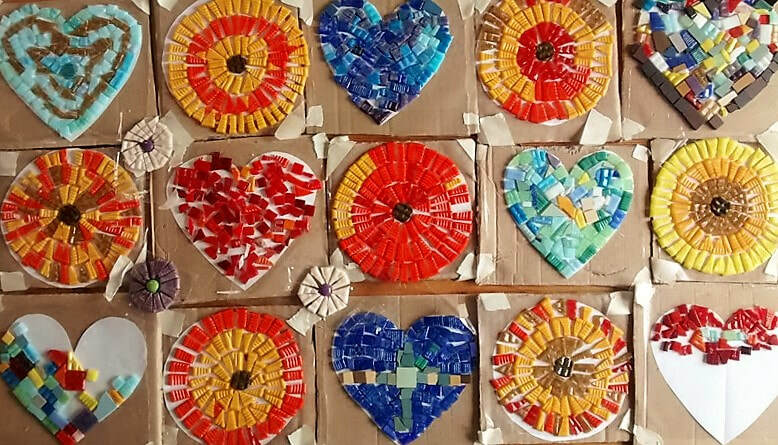 The work with residents included small personal pieces designed carefully to allow for participation by people of all levels including those with impaired fine motor skills, as well as a collective mosaic panel 'Autumn Tree', which all participants contributed to. 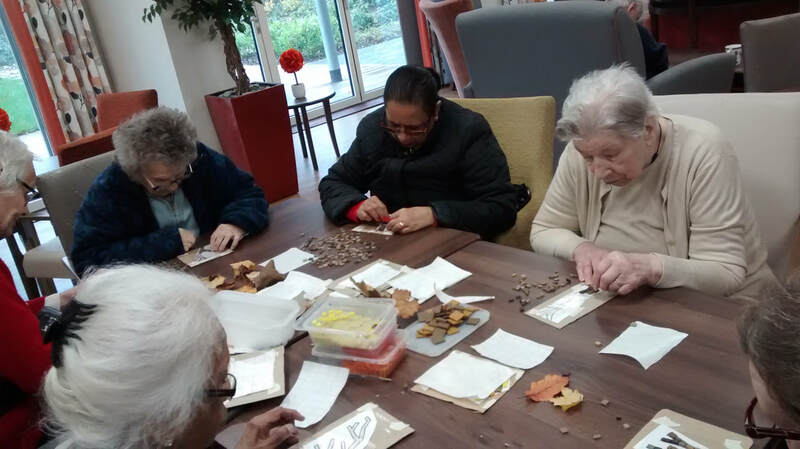 This group also enjoyed memory and coffee sessions which were based around emotive topics such as memories of home, romance, work, childhood, fashion, food and music.